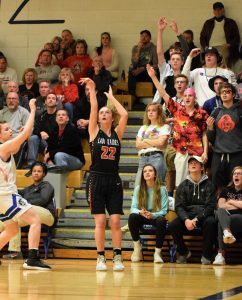 Whoosh, a three-pointer made within a minute of the start of the tournament? 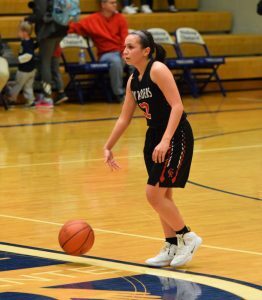 The Cardinal Lady Raiders took on Crispus Attucks at Bishop Chatard for their first sectional game. 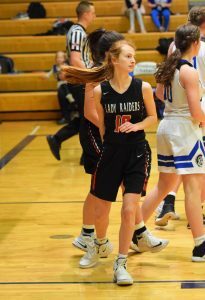 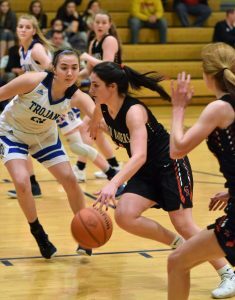 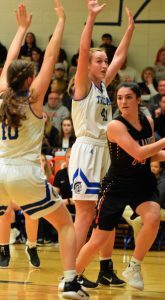 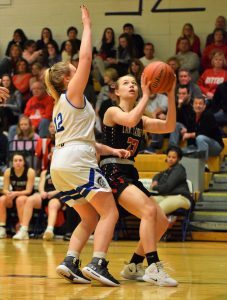 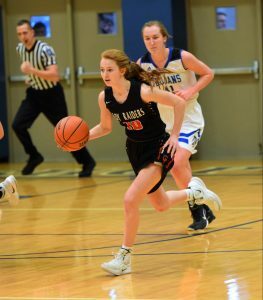 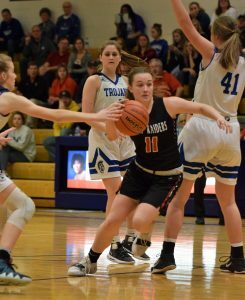 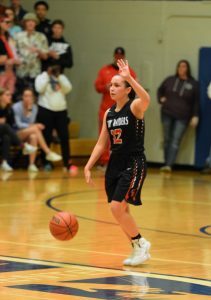 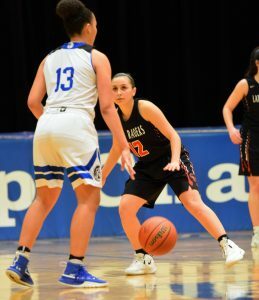 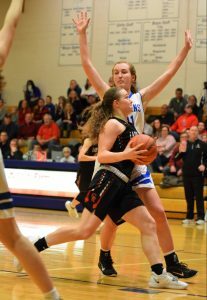 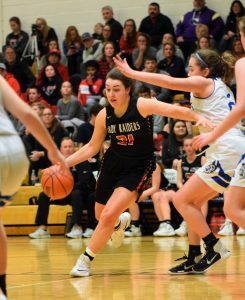 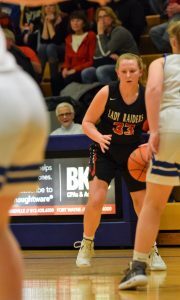 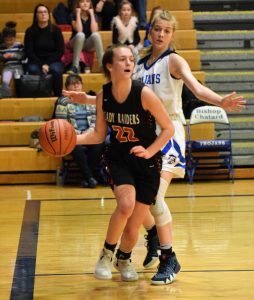 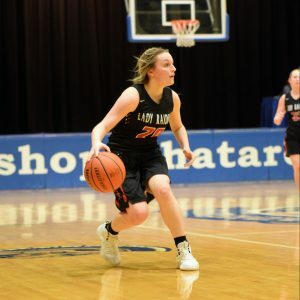 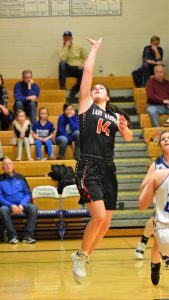 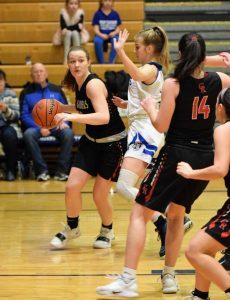 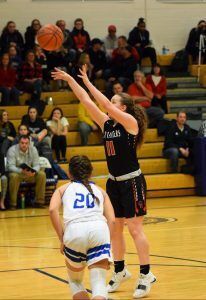 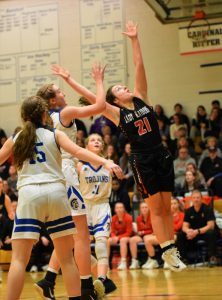 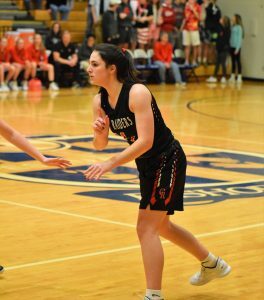 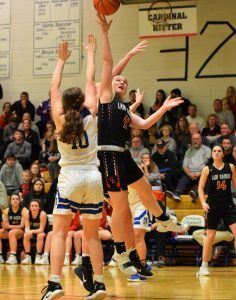 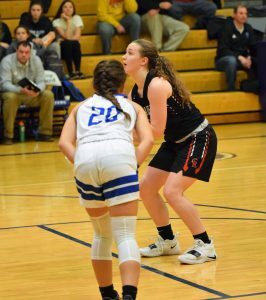 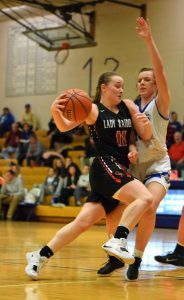 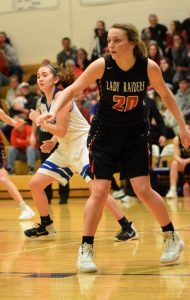 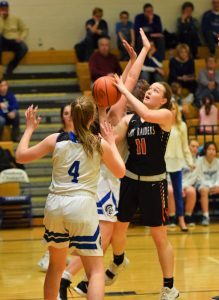 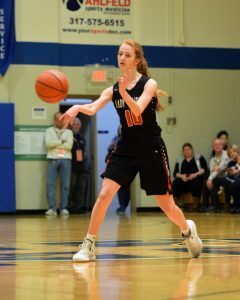 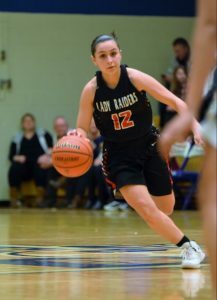 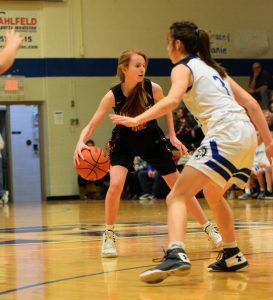 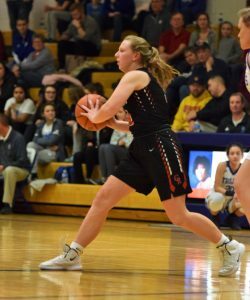 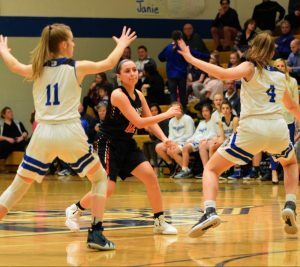 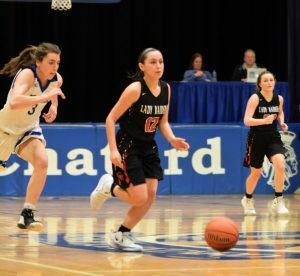 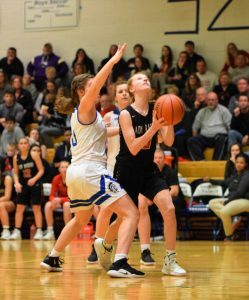 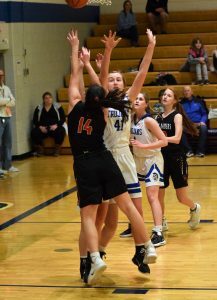 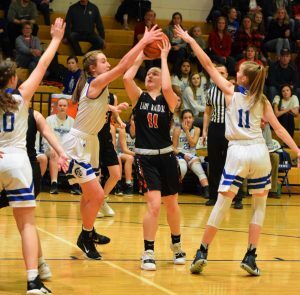 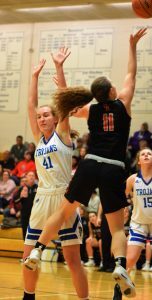 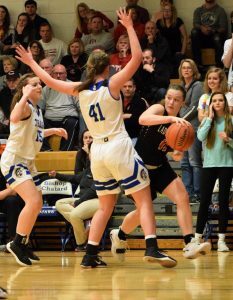 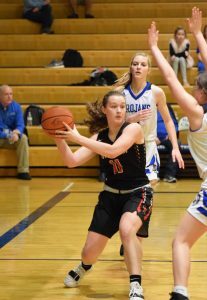 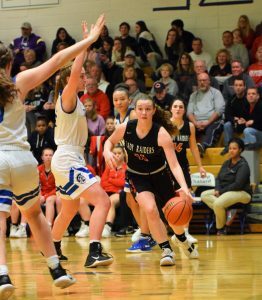 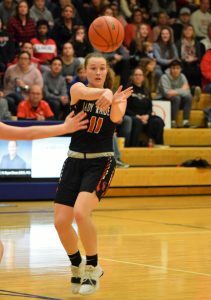 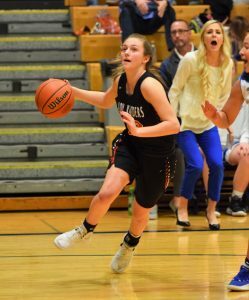 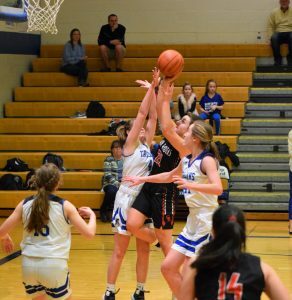 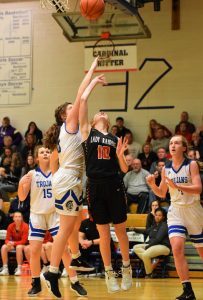 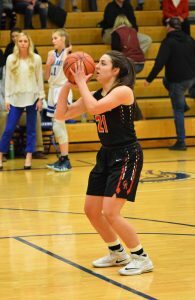 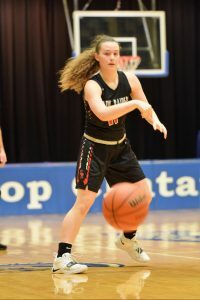 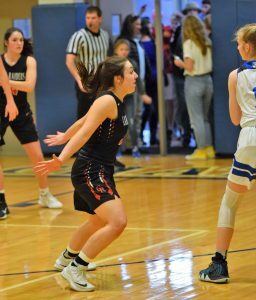 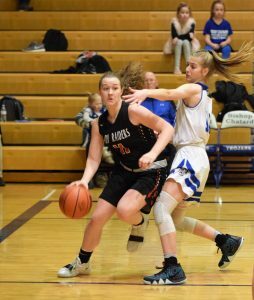 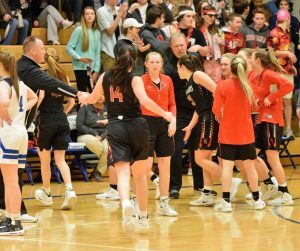 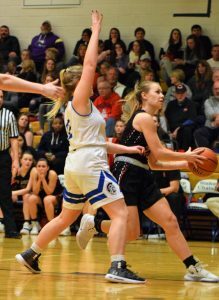 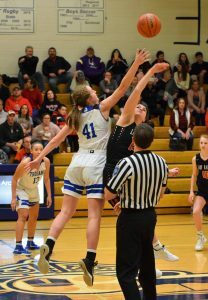 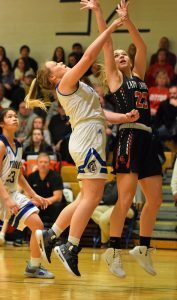 Friday night and the Lady Raiders came to fight, with sophomore Emma “Lights Out” Litzelman banking a three-pointer at the very beginning of the game. 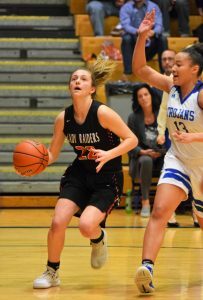 The Lady Raiders started off hot, with 15 points at the end of quarter one and the Tigers with 3. 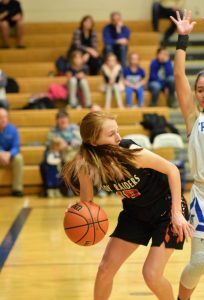 Quarter two started out with some amazing plays. 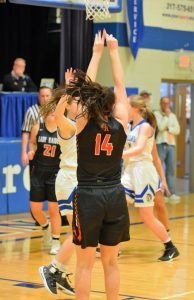 One incredible play made by junior Chloe Olejnik, was when she grabbed the ball and made a reverse lay-up, a very difficult shot to make. 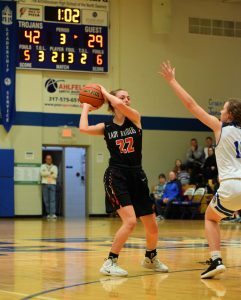 Quarter two ended with junior Linsey “Say Hey” Waggoner, scoring a two-pointer in the last three seconds of the quarter, and increasing the score to 30 to 16! 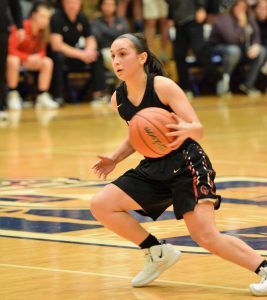 The second half was beautifully executed with junior Elena “The Closer” Closser’s multiple assists, as well as points, and, junior Gabby “Heat Check” Hicks speedy running lay-ups. 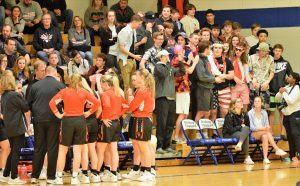 Not to mention, when Waggoner hit a three, which had the student section roaring. 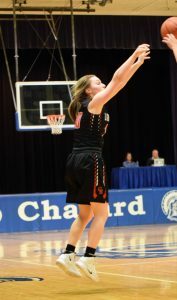 Junior Meghan “Sure Shot” Sandifer played her heart out this quarter (as well as the whole game). 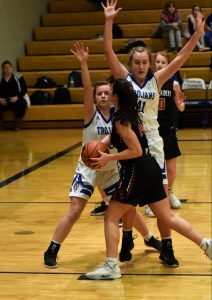 She was not afraid to get in the mix and take the ball. 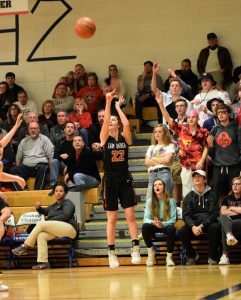 Just when the crowd thought quarter three was over, Hicks, with the flick of her wrist, shot a basket before the buzzer went off. 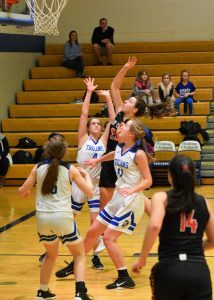 This ended the quarter with a score of 47 to 32! 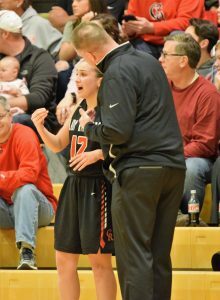 Quarter four started out just as strong as the rest, with freshman Kelsey Waggoner scoring a basket, as well as getting fouled. 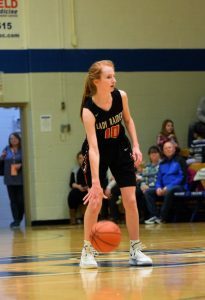 She stepped up to the free throw line and popped another one in! 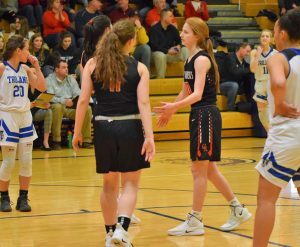 Each girl who stepped on the court added something to the game, whether it was sophomore Jenna Gruber’s, two points, sophomore Lauren Beaman’s tenacity to win a jump ball or sophomore Maddie “Mad Dog” Sandifer’s five-seconds-left-of-the-game basket that helped seal the win. 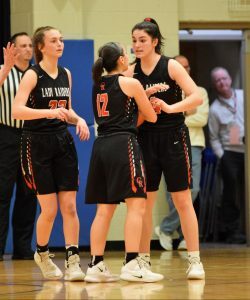 The leading scorers for the game were Hicks, Litzelman, and Meghan Sandifer with 13 points each. 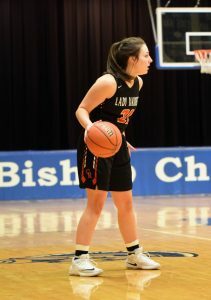 The whole game was filled with hard work and passion. 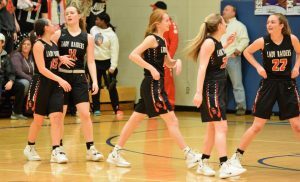 The Lady Raiders never got to discourage about calls and the game was won by incredible teamwork! 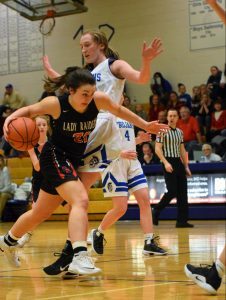 The Lady Raiders snatched a 64-37 victory which then leads them to the sectional finals the next night against Chatard at their place. 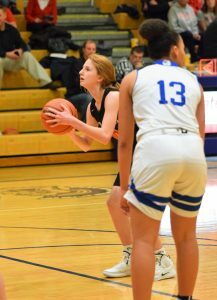 Saturday, Feb. 3, the Lady Raiders took on Bishop Chatard at Bishop Chatard for the final game of sectional. 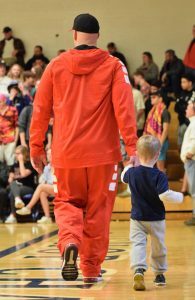 The game started out very well. 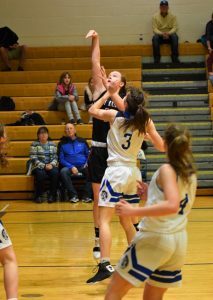 Each girl played defense superbly, making sure to block out any shots. 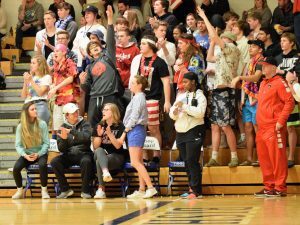 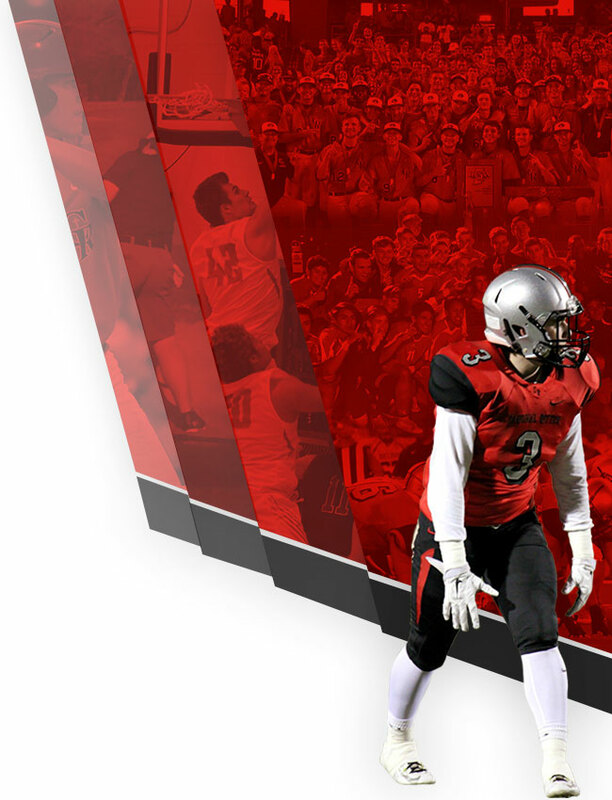 Fan, Luke Lauer said, “The zone is like a well-oiled machine,” which deemed true in the first quarter. 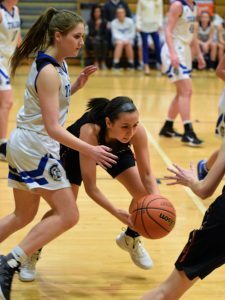 The Lady Raiders scored nine points to Chatard’s two. 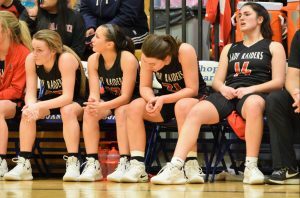 Quarter two was when the game became an intense roller coaster ride. 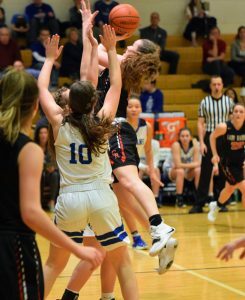 Sophomore Litzelman showed she was not afraid to weasel her way to the basket to try to score. 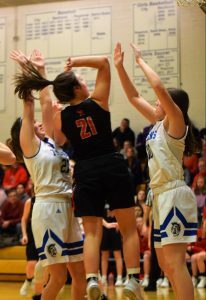 Junior Closser, only 5’02, impressed the crowd when she blocked the shot of a girl a head taller than her! 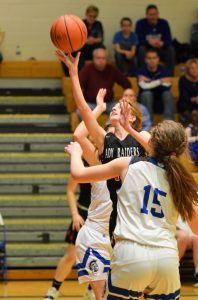 After blocking the ball, she took it to the Raider’s basket to try to score. 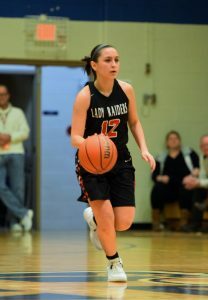 The Lady Raiders put up a good fight, ending the half 26 to 24. 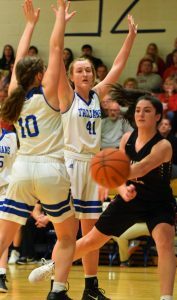 In the second half, the Lady Trojans changed their game tactics. 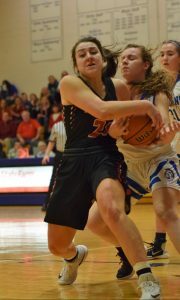 The Cardinal Ritter continued moving and shooting the ball wonderfully; however, their shots were having trouble falling. 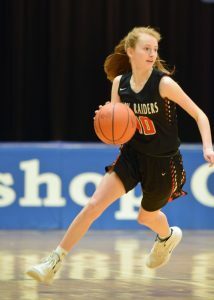 The Lady Raiders continued playing hard though, with freshman Kelsey Waggoner scoring a three; her second of the game! 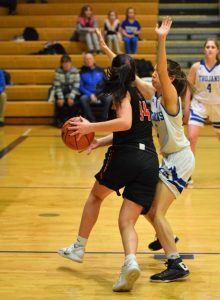 The score for quarter three was 29 to 45. 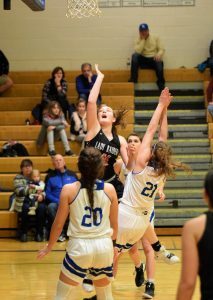 The last part of the game was a tough battle, but the Lady Raiders continued to not get discouraged. 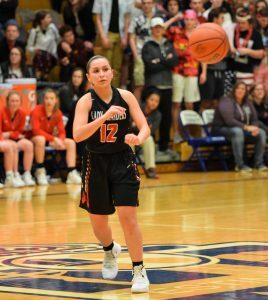 Litzelman put up a fight throwing up a three and making it. 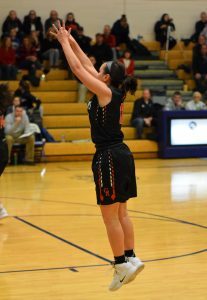 That would be her fourth three-pointer of the sectional games! 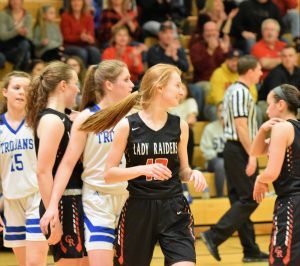 Moreover, the Lady Raiders’ passion and hustle in the game was very noticeable. 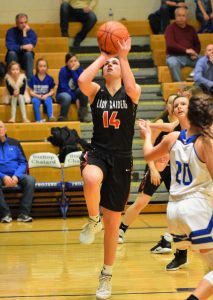 For example, when sophomore Maddie Sandifer was brought into the game, she was not afraid to shoot and scored a two-pointer. 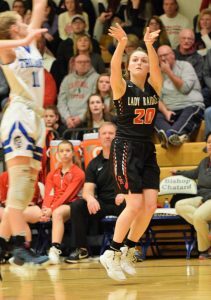 Finally, Lindsey Waggoner ended the game with a beautifully made two-pointer within the last few seconds of the sectional finals. 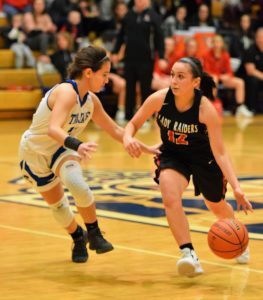 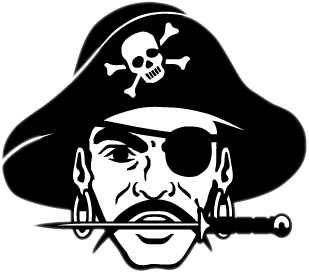 The Raiders put up a tough fight; however, they fell short to Bishop Chatard 62 to 40. 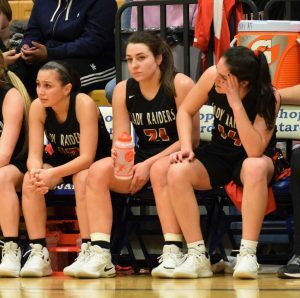 The Lady Raiders should still be proud of how well they played. 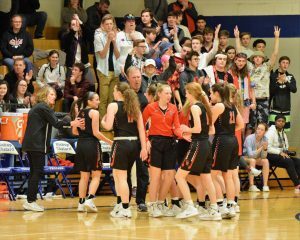 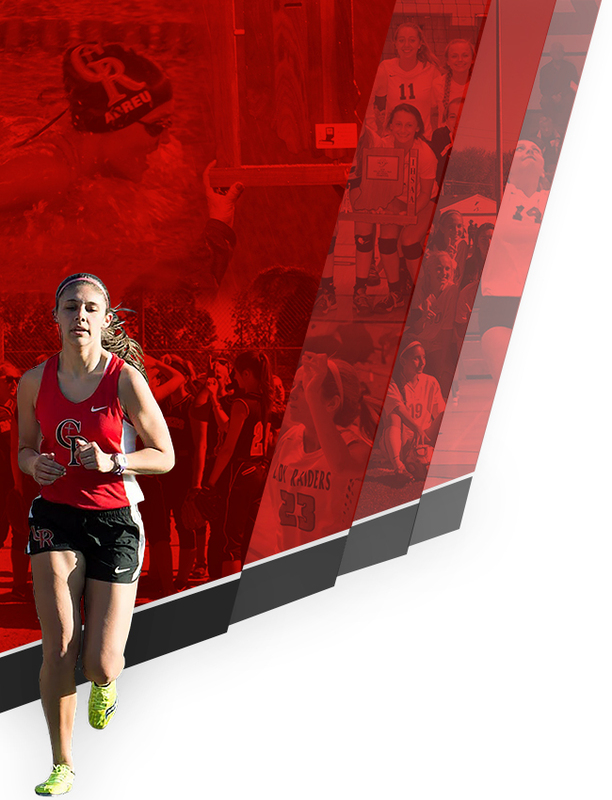 This ends the girls’ season with a record of 16-9.